Help out as a Volunteer! Volunteer shifts at Second Harvest are about 2 .5 hours each. Anyone above the age of 12 years old can come volunteer. A variety of people from various jobs, ages, and nationalities come to support our organization weekly. Companies often utilize our volunteer activities as a way of communicating throughout their larger work community, and also for new employee training. There are also some companies that incorporate volunteer work with us within their company system. Every month we send out about 300 food sources to welfare facilities and organizations. Volunteers who are able to drive and can come regularly are needed. Volunteers make meal boxes for children and family in need. The meal boxes are distributed to middle schoolers who attend after school programs in lieu of cram schools, and also single-parents who are in need. Volunteers cut vegetables that are donated from supermarkets and farmers to prepare for the Saturday meal distribution at Ueno. Every week 2HJ provides around 300 to 400 hot meals to those who are in need. Saturdays work is split into 3 shifts: preparation, distribution, and clean up. We send out packages for people who are not able to come and pick up food items from our main office. Volunteers create packages to be sent out. Volunteers provide food items out to the people who come during pick up hours. We are hoping to have people who can come regularly and also speak English. On Saturdays, we are looking for people for the Saitama pantry (does not have to be regular). We will be asking people to take phone calls and work with data.We are looking for people who can come in regularly. This is a new pantry packaging project that has just recently started. The packages will be sent to the child care facility. You can personally collect food from your company and school to donate to the food bank. This is volunteer work that can be done outside of Second Harvest. Volunteers choose a specific number of houses that they want to send out packages to. The food needs to comply to the needs of the recipients. This can be done as a project in companies or at schools. There are many ways that you can support us with. Please contact us to learn more. When you register with us, you are automatically enrolled in our insurance plan. We have an NPO insurance plan that covers all types of accidents and mishaps for the staff and volunteers. Law firms, accounting firms, and design companies often volunteer their services free of charge for the benefit of the NPO or charitable organization of their choice. We welcome those with special skills to donate their time and services to our cause. 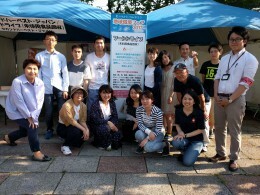 Are you interested in learning more about food banks, food loss, NPOs and poverty in Japan? 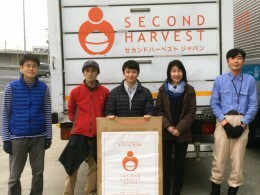 Then why don’t you join us as an intern at Second Harvest Japan and deepen your understanding of these issues? Interns participate in many activities that are designed just for them, such as preparing for our volunteer activities, data input, picking up and delivering food products. We are particularly looking for interns that would like to work with us two or so times a week for six months or more.